On Saturday, March 30th, a targeted clean-up project was planned by Mike Carlin. The entire intersection of Boggs, Warrington and Saw Mill Blvd was cleaned-up thanks to 12 volunteers from Pitt and 6 NOTM volunteers. 40 bags of trash were collected! 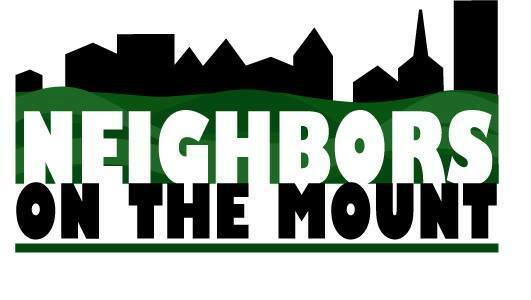 The next Neighbors on the Mount Community meeting is scheduled for Tuesday, April 2, 2019 @ 6:30 pm at the Grandview Bakery. Learn more about upcoming events, clean-up projects, and public safety news. There are two upcoming Easter Egg Hunts scheduled for our neighborhood area. The Mt. Washington/Duquesne Heights Easter Egg Hunt will be held on Sunday, April 14, 2019 at Skookum Field beginning at 12:30 pm. The Easter Egg Hunt is for kids 10 years of age and younger. Donations can be dropped off at the Mt. Washington Community Center (Ream’s Recreation Center). Council woman Theresa Kail-Smith’s District 2 Easter Egg Hunt will be held at Westwood Elementary School from 11 am – 1 pm on Saturday April 20th.